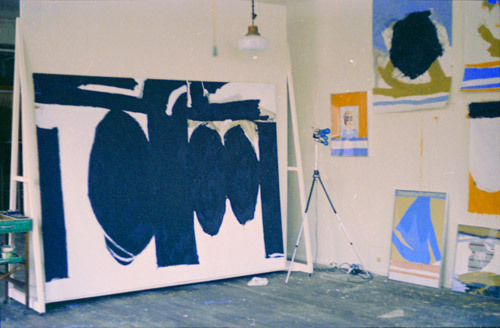 Motherwell paints the bold, gestural Black on White (P219) and completes a series of Elegies to the Spanish Republic (P215–P218). Motherwell is one of the signers of “In Support of the French Intellectuals,” published in January in the Partisan Review, a statement in defense of individuals being persecuted for speaking out on behalf of the victims of France’s war in Algeria. Motherwell’s essay “What Should A Museum Be?” appears in the March-April issue of Art in America. Motherwell and nearly fifty other cultural figures sign a letter to the editor of the New York Times protesting the hostility towards modern art of the newspaper’s art critic John Canaday.